Morocco is one of the most amazing destinations among the many North African countries. Tourism to Morocco is extremely popular for many Europeans. In fact, Morocco is almost a first cousin to the French as nearly 2 million spend their holidays there every year. There really is a lot to this enchanted country and we still have a few things to discover. So read on to learn about the unusual, funny and simply unknown facts about Morocco. We will dispel some myths and explore some secrets as we discover what has made this land so special for thousands of years. Here are the top 10 things that you might want to know about Morocco to decide if this is your next holiday destination! We Do Not Change A Dynasty That Works! The King of Morocco, Mohamed VI, comes from a family that has ruled Morocco since 1,666 and is called the Alawite Dynasty. It is one of the oldest reigning royal families in the world. The French name “Morocco” derives in reality from the Portuguese pronunciation of Marrakech (“Marrocos”). We will never see the Portuguese accent again as before but the name lives on. In the local language (Darija) the Kingdom of Morocco’s full name would be “Al-Mamlakah al-Maghribiyah”. Morocco is in Europe. Well, almost. . .
Morocco has 16 kilometers of common land border with the European Union, via Spain and the enclaves of Ceuta (6 kilometers) and Melilla (10 kilometers) located in Africa. No need for a boat from Morocco to Spain! 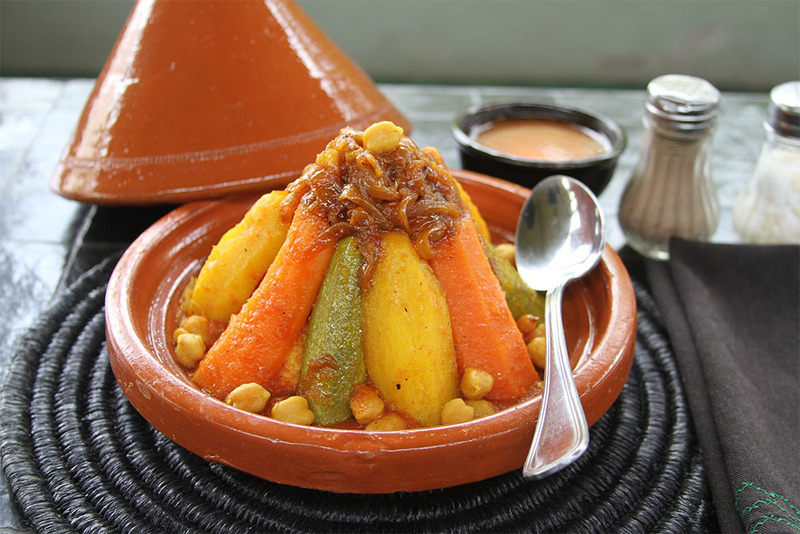 Moroccan food is world renowned with almost every major city in the world boasting a Moroccan restaurant. In fact, did you know that Couscous is Moroccan? The cuisine of Morocco has influences of Mediterranean, Arabic and Northern Africa and Sub-Saharan tastes. It it truly unique and has a taste all its own. Don’t miss the opportunity to enjoy an Oasis dining experience at a fine Moroccan restaurant. This should not be missed. In 1987, Morocco tried to join the EEC (European Economic Community) without success. In 2008 it was awarded an “advanced status” with the European Union (nobody really knows what it is, so rest assure you are not alone) along with Turkey, Israel and Serbia, they could almost make a club of EU rejected countries! 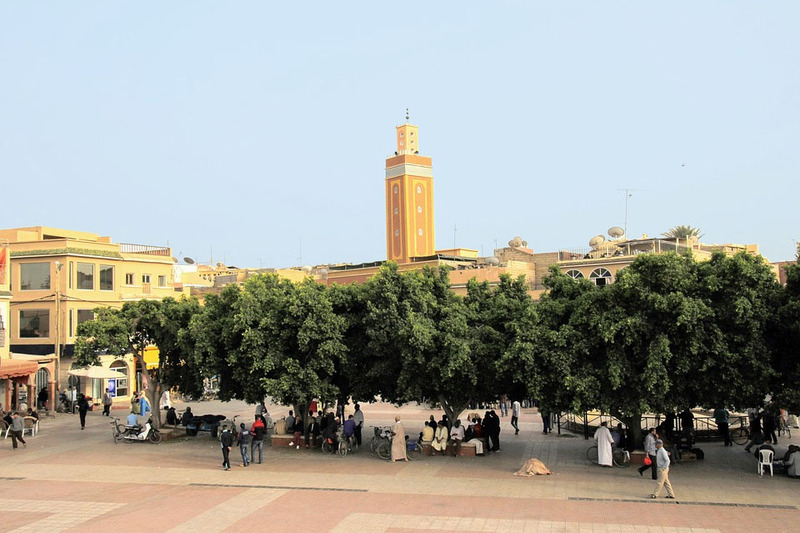 We often imagine Morocco for its squares and its deserts. The mountains actually occupy more than two-thirds of the territory. Several summits even cross the 4,000 m mark: Jbel Toubkal, the highest peak in the country, peaks at 4,167 m. Looking forward to enjoying Moroccan fondue this winter? A number of mountain climbers try every year in the spring season to explore the high peaks of Al-jabbel Mountain in Morocco, but only few succeed. The region of the Rif (North Morocco) is the largest producer of cannabis resin in Europe (88% of cannabis consumed in Europe). Morocco is the biggest producer of cannabis. . .in the world! It’s still more peaceful than exporting weapons. 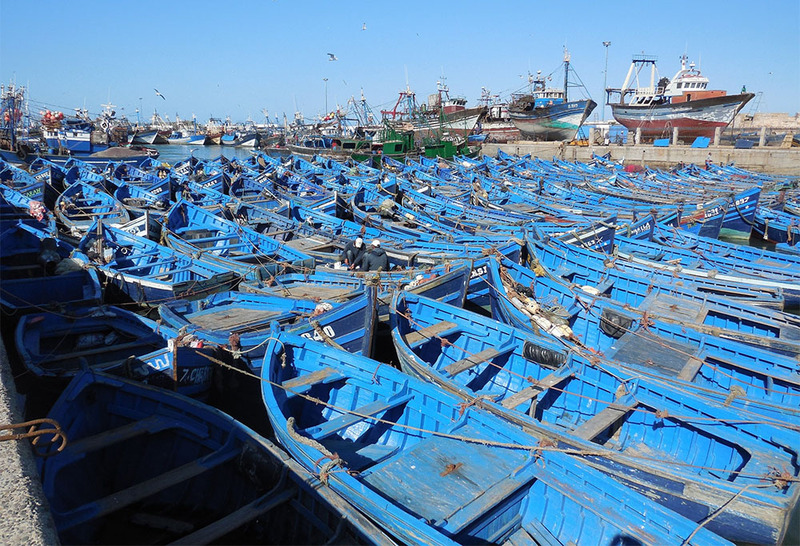 Morocco is the largest producer of boxed sardines in the world! Officially, almost 46,000 French permanently reside in Morocco out of 33 million inhabitants (2013 census). The Morocco has the fourth largest French expatriate community outside Europe. The Moroccan rooster, you know? Will You Marry Me (freely)? Moroccan women are officially entitled to marry freely only since 2004 and the new family code – the Moudawana – was a real advance for the country. As this freedom was not so long ago, Moroccan families usually follow their religious norms in their marriages. Women are free to marry any man, but only if their partner choice is the only best option amongst the others. If you do travel one day to Morocco, do not miss Essaouira (also called Mogador in French) on the Atlantic side and its rich historical heritage. It is said that Orson Wells, who turned Othello there, met Winston Churchill. Cat Stevens, Jimi Hendrix and Bob Marley all made several stays in the 1960s. Even the popular television show Game of Thrones recently shot a few scenes on the ramparts of the Kasbah. Morocco is a truly blessed country for spending summer or spring holidays. Incredible Mountains, exotic beaches, green valleys, beautiful yet ancient cities will definitely give you something unique and unforgettable. To hunt for your ultimate adventure in Morocco, you should follow the safety guidelines, placed on the govt. the site of Morocco. This amazing destination will give you an immense amount of enjoyment and escapade that will be an unforgettable experience.